I LOVE sweet potatoes. I think they are fabulous – roasted, steamed, in stews, baked with a little butter and pretty much any way in between all those. My husband and daughter, on the other hand, could really do without it. I tried all sorts of things over the fall in hopes of turning them and making them realize what they had been missing all these years, but they would not have it. And then… I baked some sweet potato rolls. Laaaaaaa! They gobbled them up and I was glowing at the conquest. Not only had I figured out a way to get through all those darned sweet potatoes from the CSA box, but I had done it with homemade bread. HOMEMADE BREAD, made by me. Me, who less than a year ago was scared of using the oven for anything besides roasting vegetables. Anywho, I got the really simple recipe for the bread here. 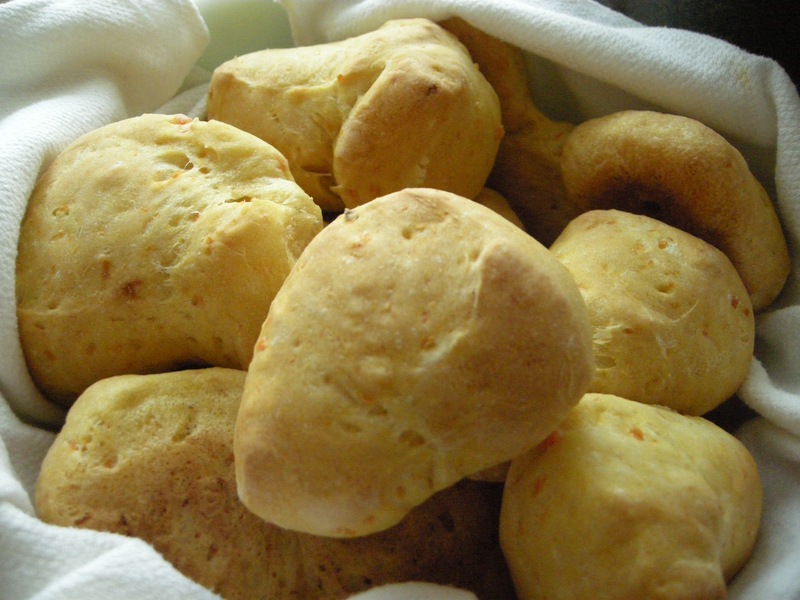 It’s technically a dinner roll, but we loved them in place of biscuits in the morning with a little honey.